Prof Jeffery Kenny, Professor of Religious Studies, DePauw University, Indiana. 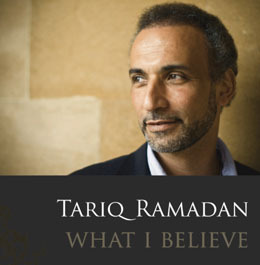 Within the vast tradition of Islamic thought, lies two very important conceptual signifiers; Tajdid, which can be translated as “renewal”, and the other is “Islah” which is generally understood as “reform”; and these two concepts embodied the Islamic spirit of dynamism and creative thinking in renewing our understanding of the Qur’an and Hadith in the light of the contemporary context. John Esposito, in his book “Voices of Resurgent Islam”, claims that the idea of reform and the call for a more creative and critical interpretation of the sacred texts in facing the contextual challenges was never an alien idea within the Muslim historical experiences. The reference went all the way back to a prophetic tradition. In a sahih hadith reported by al-Imam Abu Daud, the Prophet said: “Allah will raise for this community at the end of every hundred years someone who will restore its religion for it.” This reiterates the importance of reform and renewal in Islamic thinking. But one ought to ask; what kind of reform that is needed in the Muslim world in its intellectual pursuit today? Intuitively the reform does not denote the establishment of a new religion, with a totally brand new essence and form. The focus of the project is to renew and reform not so much of the text, but the Muslim understanding and interpretation of it. This roundtable discussion will consider what are the aspects of Islamic reform that is much needed in a globalized world today, and what are the roles of the Muslim scholars and Muslim community in general within this process. 310-325PM: Opening speech by Prof Jeffery Kenny, Professor of Religious Studies, DePauw University, Indiana.